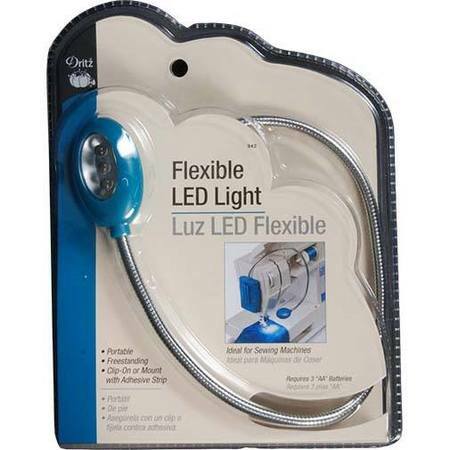 13 1/2" flexible arm with adjustable light head that can be adjusted to any angle. 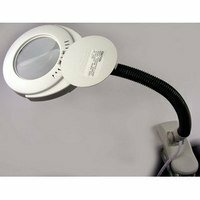 Light can operate freestanding on your work surface, clipped to a book or belt and mounted to a sewing machine or computer with adhesive strips or to a wall with screws. You will receive either a teal, red or purple colored lamp. Unfortunately we cannot control which color you receive. 3 LED bulbs provide +10000 hours of light.